It was great to be back and see everyone at Fun Cup this weekend, our team and mechanics were amazing as always (thank you) and although we had a few mechanical issues, the drivers did really well and all cars finished and were on top form. 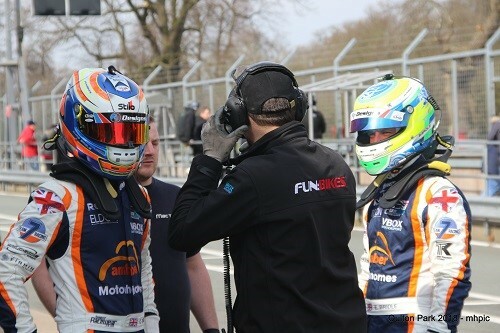 Chris and Ed Bridle quickly settled back in car 195 with owner driver Jon King, leading the race at one point before an issue with the drive shaft causing them to come in to the garage for a few laps. Novice drivers John Iley and Edward Worthington had an excellent drive with Rod Barrett in car 251 putting in some good lap times and Novice Sam Brown joined his experienced father Alan and brother Rory in car 249 - I’m sure it won’t be long before he is putting in the same times as his brother! Team 7 Racing are pleased to announce that they will be running an additional car this season. 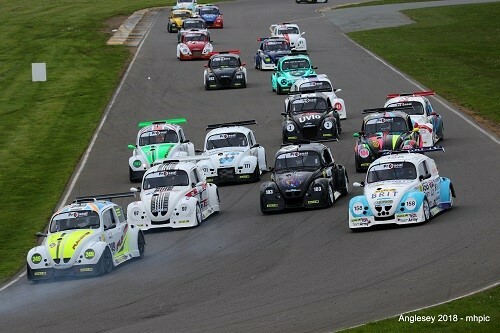 Team7 Hawthorns - Car 251 will join the Team7 cars of 195 and 249 at the season opener at Brands Hatch. The 251 car was recently acquired due to its unexpected availability, hence a late change of plans to run 251 this season. The 251 registered driver line-up includes experienced ex TVR Tuscan, British GT, HSCC Jaguar Classic and Britcar GT driver Rod Barrett who will be joined by team mates John Iley and Ed Worthington with Team 7 Boss and ex multi Championship winner, Jay Shepherd in support. 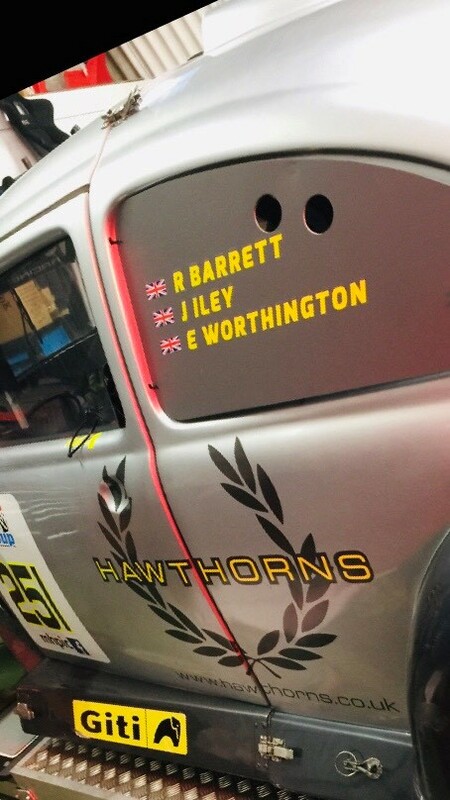 Co-driver drivers John Iley and Edward Worthington are relatively new to racing, but both have performed extremely well in pre-season test sessions and are looking forward to being successfully involved in the Fun Cup endurance racing. “I have nothing but praise for the previous owners of 251 as the car is amazing to drive”, said Rod Barrett. ‘After testing and shake down trials at Donnington, we have a lot to live up to if we are to continue to add to the cars extraordinary history”. 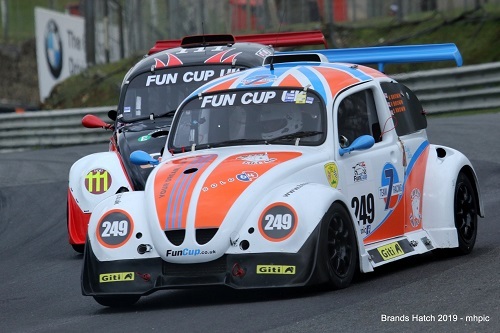 2018 FunCup Season Finishes on a High! Most improved team award (car 263) for Team7Racing at the end of season awards 2018! Its been an epic year for Team7Racing, and finishing the season with two 2nd place podiums under our belts and two cars finishing in the top ten overall is just fantastic. Thank you to all of our drivers, mechanics and all the other competitors that make the Championship what it is. With some fabulous characters, it really is a family and fun Championship to be involved in. Congratulations to 2 Rent/Dominos Chris Hart and Henry Dawes on your Championship win - runners up Mark Holme and Nick Nunn (Team Viking) And Neil Plimmer and Tim Wheeldon (Team Honeywell). Its now time to spend the winter getting the cars ready for the 2018 season! The wait is over! 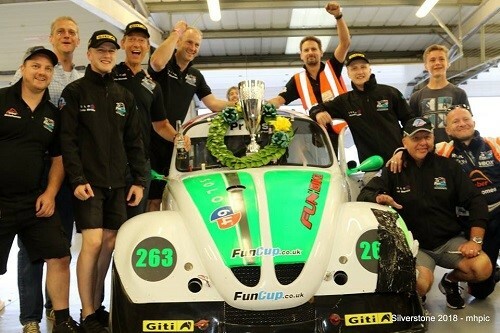 Our first podium at Silverstone! Thank you to all of our mechanics Ross, Tom, Ben, Oliver, Lee and Shaun and thank you to John, for your support and advice. FunBikes 3 - car 249 drove an awesome race also with Rory pulling in some super quick lap times. It was a pleasure to run the Team Lane Roofing cars for this round and to also share the garage with race winners Racelogic. We are all looking forward to Round 8 at Brands.